*Holiday Merch Sale – Get 15% Off! This just in – William has added more dates to his upcoming tour in January and February! 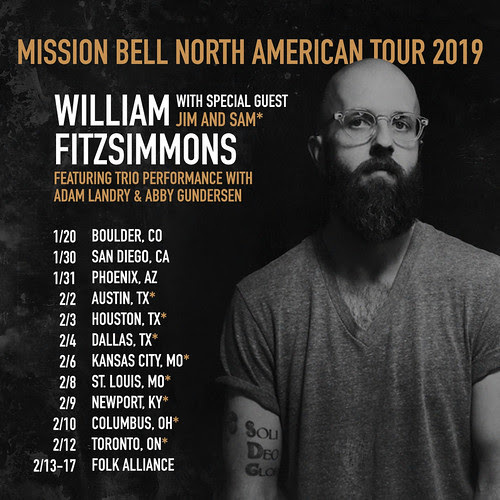 William’s shows in San Diego and Phoenix will be billed as “An Evening With William Fitzsimmons” with no support acts, but the incredible Jim and Sam will join him again on the performances from Austin through Toronto. Check out the full list of dates below and grab tickets – on sale NOW. Happy Holidays to all! 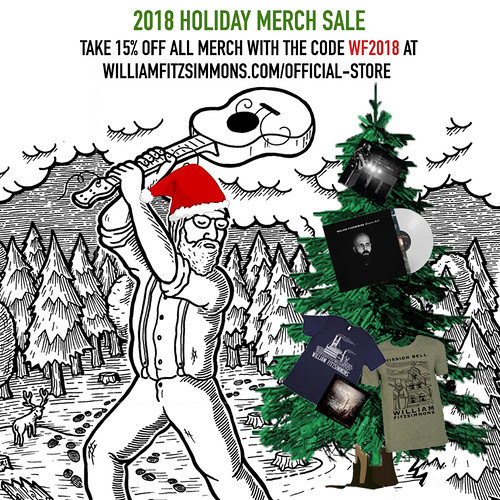 This year, the William Fitzsimmons webstore is giving everyone 15% off ALL merch with the code WF2018. Head to http://williamfitzsimmons.com/official-store/ now through January 7th to find the perfect gift for any William fan. 1/12/2019 – Chicago, IL – Old Town School of Folk Music – More Tickets Added Tomorrow!